Don’t miss Barclay’s Annual Triple Threat of Savings going on NOW though April 1st! Big and Tall sizes are included in this awesome sale too! 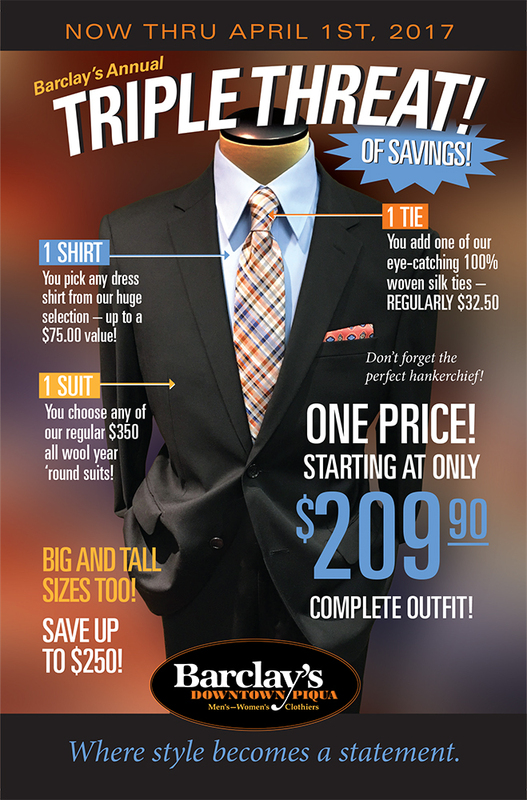 Don’t miss this fantastic chance to get a whole outfit at an unbeatable price at Barclay’s in downtown Piqua!